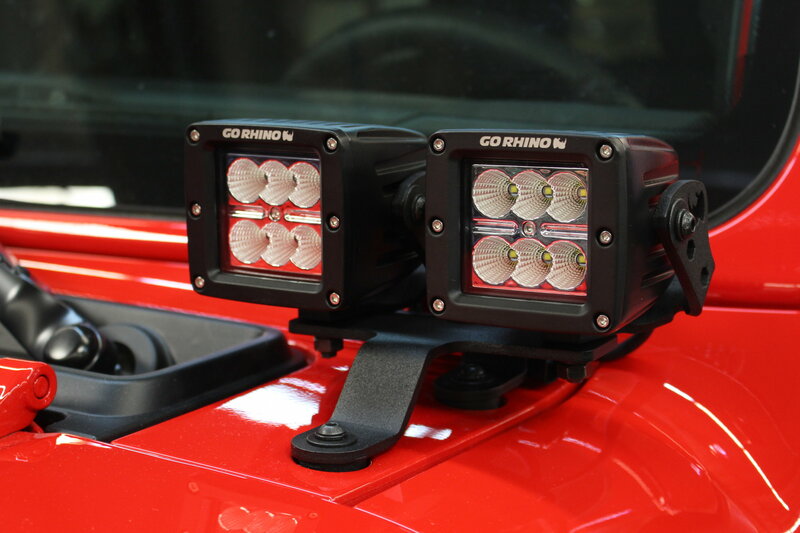 The Dual 3" Cube Windshield Cowl Light Mounts from Go Rhino make it possible to mount four LED cube lights to the windshield cowl on your Wrangler JL. This can help out in a big way on the trails whether it is foggy or at night to make your path clearer to see and easier to navigate. Installation: No drilling or cutting is needed to install these brackets. 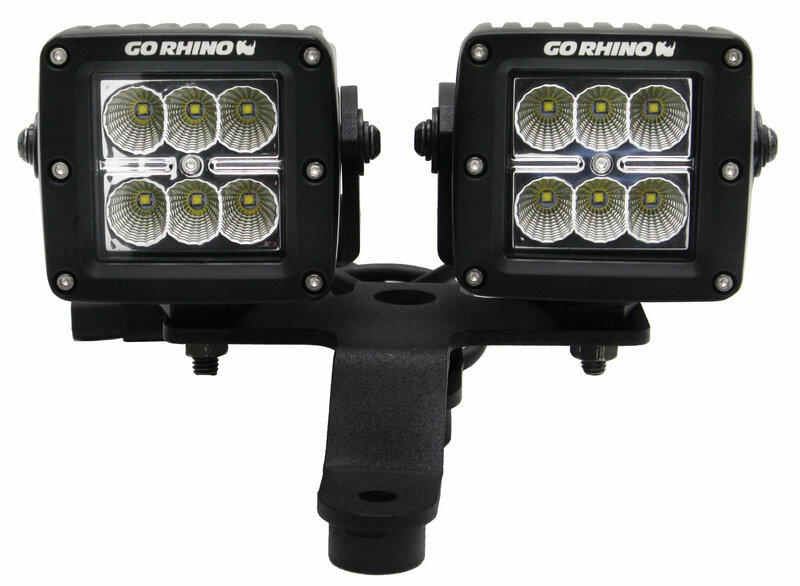 They just simply bolt into the windshield cowl hinges giving you a great location to put four LED cube lights. Rubber Gaskets are provided to protect the paint of your JL. Pretty disappointed with this. Issues were that it was missing a bag of hardware, and the hardware that DID ship with it was the wrong size. The bolts that hold the individual light brackets to the main mount are too big for the holes, had to drill out the holes and then paint them so that they hopefully won't rust. The nutserts for mounting the lights don't work with the quadratec light cubes, but you can reuse the nuts that come on the Quadratec lights with a little coaxing. Finally, the first unit fit the passenger side fine (replacing the big cowl bolts with tiny cheap bolts) but the driver side was way off, had to force it into the holes by bending and flexing it as much as we could to avoid destroying the paint. For the money these look and fit like cheap Chinese knockoffs. Save your money and get something else.